An iconic brand in the surf industry, we launched Body Glove’s licensed SURGE energy shot, billed as a healthier verson of 5-Hour Energy, targeting both influential action sports media as well as mainstream media channels. 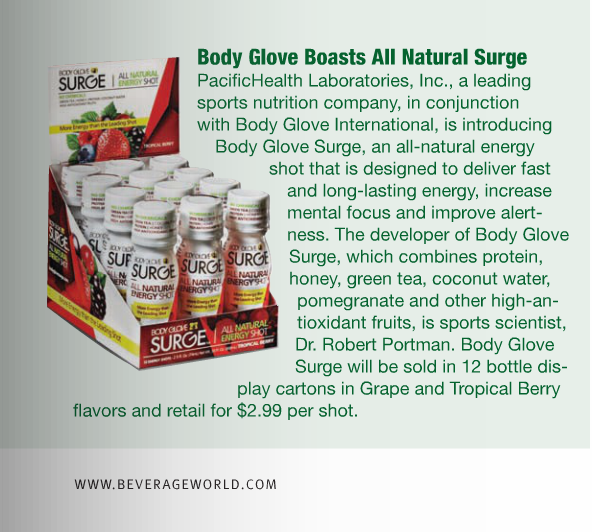 Remedy secured media coverage for SURGE and its ambassador team of MMA and surf athletes in a variety of outlets ranging from core action sports media (Surfing Magazine & Transworld Business) to beverage industry trade magazines (BeverageWorld, BevIndustry & Whole Foods Magazine). In less than two months, the launch of SURGE received more than 4 million impressions through product reviews, online chats with MMA athletes and media interviews.